is particularly crucial when policy ideas, institutions, models and programmes are transferred into places with different cultural settings without adaptations (Knieling and Othengrafen 2009b; Sanyal 2005). These unexpected consequences in planning practice and management outcomes have brought a significant amount of attention to the importance and roles of culture on shaping decision-making in territorial management process and determining transferability of a policy (Friedmann 2005a, 2005b; de Jong and Mamadouh 2002; Sanyal 2005; Ostrom 2005a; Knieling and Othengrafen 2009b). However, conceptual frameworks that seek to understand the roles of culture and its implications for spatial planning are still rather limited. to explain how culture, planning policy and territorial management outcomes are interrelated, and what the implications are for spatial planning. The framework integrates relevant theories and ideas from anthropology, organisational management and political sciences to understand influences of culture on spatial planning. The integrative framework suggests a way of characterising territorial management in the form of ideal types. This helps simplify cultures regarding territorial management to make them comparable. It enables an analysis of ‘cultures’ that includes a broader scope of culture than existing frameworks that focus primarily on ‘planning cultures’ expressed in forms of planning systems, organisations and instruments. This broader scope includes also the implicit expressions of culture in informal forms, such as ideas, customs and social behaviours shared by involved actors in the management of a given territory. that assumes a stable state of culture (a synchronic perspective) and the analysis that considers culture as dynamic and interrelating with other context variables (a diachronic perspective). Findings derived from the analysis of the case studies based on these two perspectives help draw theoretical conclusions about how planners may deal with culture in order to improve planning practices. The study investigates territorial development processes in the context of floodplain management in urbanised delta regions. This specific context is selected because of its strong relations between physical attributes and spatial planning activities. The analysis is carried out based on a comparative approach at two levels. At the cross-national level, the Rhine-Meuse delta region in the Netherlands and the Chaophraya delta region in Thailand are used as case studies. The comparative approach is useful for this study because culture can be best understood in a relative form. The sub- national analysis emphasises comparison of floodplain management in three selected districts in the Chaophraya delta region. The two levels of analysis are carried out in order to understand whether the influences of cultures on planning practices and territorial management outcomes at different scales of development are affected by similar elements. Besides the theoretical contribution, this study also contributes methodologically through development of a common conceptual framework that can be applied to the analysis of various issues in territorial management, which is not limited only to the subject studied here. The framework is also expected to be applicable for the analysis of territorial management in a diverse range of cultural settings. The findings derived from a synchronic analytical approach validates arguments given by previous studies (such as de Jong and Mamadouh 2002 and Stead et al. 2008) regarding the importance of ‘conformity’ between policy content and local cultures for enhancing achievement of policy implementation and transfer. The findings from a diachronic perspective contribute to understanding of dynamic dimensions of culture as interrelating to other context variables. It reveals that cultures regarding floodplain management can be categorised into two parts – (i) the part that is significantly affected by core values and (ii) the experiential part of culture with close relationships with physical environments. 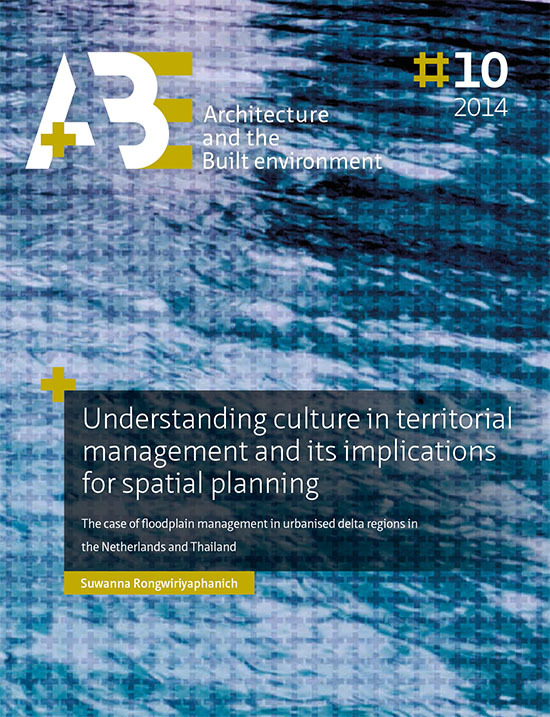 Each dimension of culture regarding floodplain management is sensitive to each part of culture to different degrees. Furthermore, the analysis reveals two fundamental conditions required to promote effective management of collective tasks. They are (i) a unified perception towards shared problems and solutions; and (ii) management that acknowledges local institutions throughout planning process. In short, the conceptual framework proposed in this study proves to be helpful in gaining a better understanding of culture regarding territorial management and its implications for spatial planning. The findings imply that despite the significant influences of cultural preconditions in shaping planning practices and territorial management outcomes, planners may use spatial intervention mechanisms to ensure that outcomes match initial policy objectives. This could be done through the promotion of caution and cultural sensitivity in policy design, and in selecting appropriate implementation mechanisms to match the local preconditions.